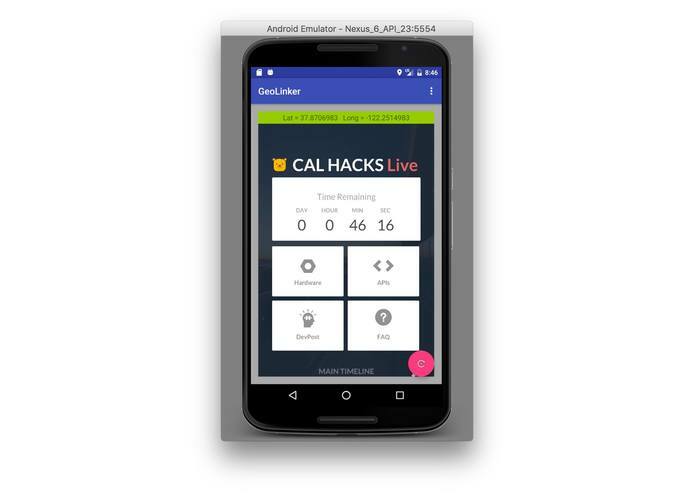 After tossing around many ideas, our team really connected over the concept of how events like CalHacks or even places in general would attempt to post their website on a flyer or announce it. However, there is a lot of work and overhead for people to find specific websites that are relevant to their location, and for event hosts to communicate their websites conversely. That's why we built an app to broadcast that information. 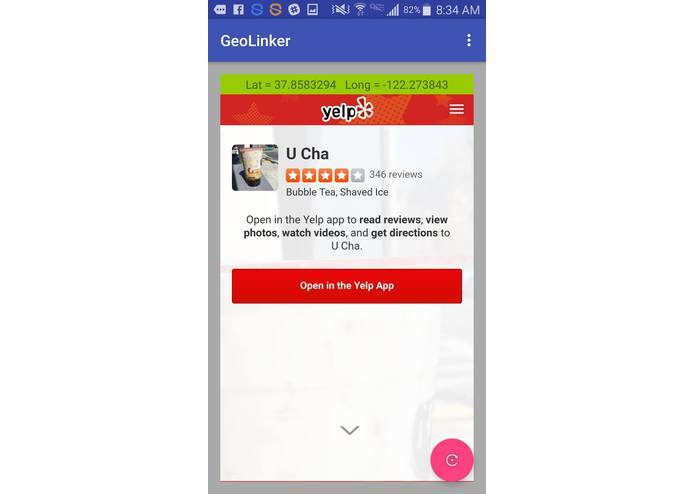 Our app, GeoLinker, pushes to solve that problem by mapping user GPS coordinates to nearby landmarks and streamlining the process of providing the relevant URL to the user. 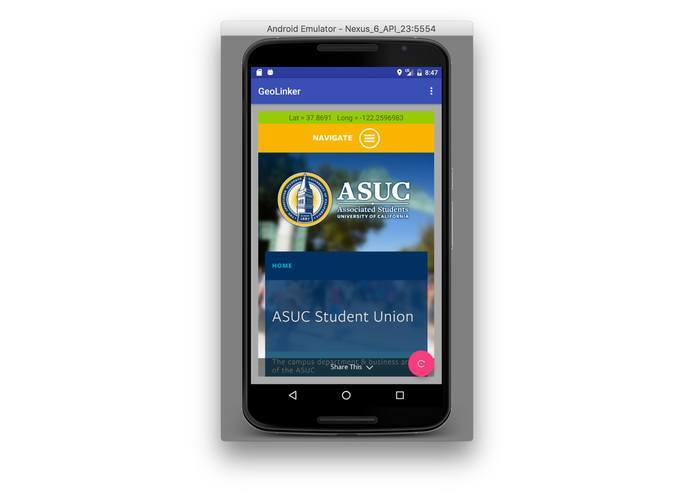 We built this app by using a Flask and Python based server hosted on Microsoft Azure and the corresponding Android app, build in Java. Along the way, we encountered several issues with trying to find the best backend. We first wanted a full fledged database allowing for real time manipulation for landmarks, but various technologies, including Microsoft's DocumentDB, and also MongoDB on a VM hosted on Azure, were unable to be fully implemented. Some factors of that included lack of documentation and also limitations on connected our app to the database itself. Regardless of the setbacks, we are proud that we finished the app and that it is functional. We were able to connect everything and work on many new technologies along the way. We see lots of potential with this app, being able to connect things like stores, events, and even new travel locations to users so that they get information on the go. The possibilities are endless as this app can facilitate traveling and tourism by having the ideal travel guides show up for each user, depending on their home language, to making the process of getting everyone at CalHacks to fill out a tinyurl waiver much easier. Aside from getting a bunch of awesome swag, talking to companies, and getting boba, we had a good time learning about all these new technologies, building an app we are passionate about, and as a team, going through the entire lifecycle and process of developing an Android app with a Python web server to go hand in hand.